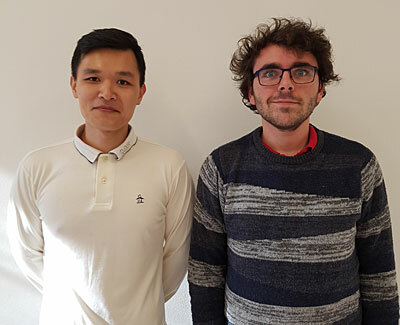 Soo-hyeong Kim has joined the company as a Graduate Engineering Analyst, alongside Andrew Olson, who has taken on the role of Business Development Engineer. The company is also building on recent successes in the Asian market, after securing a major cable and umbilicals contract in China. In recognition of the growing subsea market in Asia, further business development in this region will be led by Manuel Pimentel, who has been promoted from Senior Engineering Analyst to Regional Development Manager (Asia). “Manuel’s promotion is also well-earned and his experience and skillset will be invaluable in helping us to identify and further develop opportunities in Asia. We are confident that this new position will help us work towards fulfilling our growth plans, as well as building on our global presence,” adds Rossiter. AgileTek was founded in 2015 with a strong senior team, and has grown through the recruitment of graduates and young professionals since then. In a team of nine engineers, three have been recruited as graduates and six are under 30, which underpins the company’s commitment to providing opportunities for young people.